So, we’re heading into the 2nd half of conference season for Fall 2018. I had the privilege of speaking for the National Association of Rehabilitation Providers & Agencies (NARA), and, also had the pleasure of leading round tables at WebPT’s Ascend Event on Social Media Marketing. In any case, a big complaint we kept hearing was the awareness of clinic owners and company managers that healthcare practices & agencies NEED to move into digital marketing. But… How do we catch up if we haven’t ever done this before? And… what do we do as social media seems to be getting SO CROWDED?! 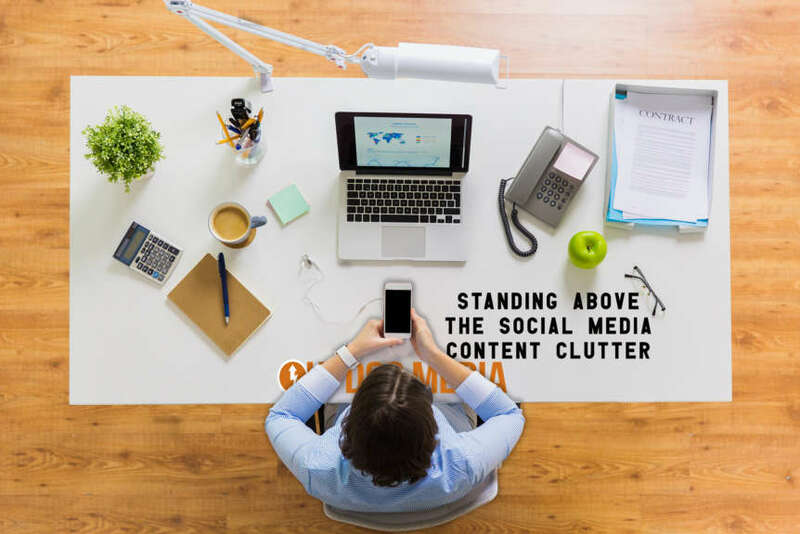 How does a brand stand above the social media content clutter? Have Excellent Content — truly excellent content. Don’t know where to start? Check out this “oldie but goodie” post called “The 3 Es Of Excellent Content.” It’s the same advice we gave to the Prehab Guys — maybe you’ve heard of them??? Core Philosophy: Deliver value first, then ask nicely and precisely — you can’t just ask everything from everyone… it needs to be clinically precise. Get Gamified. Interactive branding is key. Have people engage with you via comments, tagging, GIFs, raffles, games, contests, etc. Ask A Question. You’d be surprised how much response you can get from simply asking open questions. There’s a great level of insight this brings as to what your audience segments are looking for… leading us to! Deliver What Your Audience Wants. Deliver what they want… not what you feel they need. We may know the clinical science, but THEY are the consumer. We have the entire course of care to make sure their understanding is accurate. However, we can’t serve those who do not choose us. And, if there’s so much misinformation out there, then our job isn’t to correct beliefs… it’s to nurture trust and guide them to more accurate understanding of health. Be Authentic. Authentic means accessible, vulnerable, humorous… and, NOT salesy. There’s a time a place for that, and typically, social media isn’t the best channel for sales. Social Media is a great channel for ATTRACTION. In fact, every marketing strategy should have at least THREE channels: (1) A discovery channel – how do people find you? (2) An attraction channel – how do they come to like and trust you? (3) A conversion channel – how can they directly make purchases from you? One of the best way to keep engaged on Social Media is actually through Email Marketing. There’s a very specific strategy in email marketing and smart automation that specifically boosts social media engagement. To help you in this avenue, we have a bonus resource for those of you interested in taking a short, 37 second survey — Yes… exactly 37 seconds 😉 LOL! — Are you game? Click on the button below and let’s go! Take the Survey & Get The Freebie!